You have all heard about Powerpuff Girls and how they are made of sugar & spice and all things nice and an accidental dose of chemical X. Without that chemical X or X factor, they would become powerless. The same thing applies for excellent customer service. No matter how you incorporate the latest technology, metrics, and communication channels to provide the best customer service through your contact center, it will be quite useless without the factor X – your agents. The agents are often the unsung heroes of customer service. They work as the first point of contact for your customers and therefore has the power to build or ruin a customer experience. 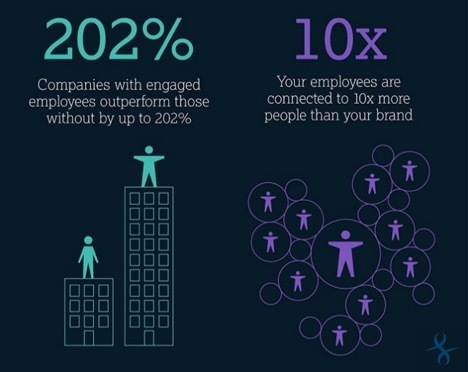 According to a study, companies with engaged employees outperform those without by up to 202%. Want to deliver excellent customer experience every single time? Turn your attention to engaging your agents. A little thank you can go a long way. After a successful campaign or an exhaustive week, a thank you can pick the agents up like nothing else. We recommend that every manager must have it in their arsenal and use it regularly. The training and orientation program at the beginning of an agent’s tenure in your organization is often exhaustive. There’s a lot to take in within a short period. Therefore, some agents tend not to remember each and everything taught at the initial training. To fix this, Fusion arranges custom training for them that help them catch up and improve their performance. Fusion also arranges cross-trainings with a goal of increasing employee knowledge. We have them trained in other departments or positions, help them learn new skills and languages. It provides a sense of value to an employee and puts them on a fast track for improvement. Everyone needs to break their mundane cycle and let their hair down every once in a while. And that is exactly what your agents need. Take the team out of the office and have some fun. Take them on a picnic, a happy hour, an after-office badminton session, or a football tournament. Allow them to have fun and enjoy each other’s company. Your team deserves this. As the old saying goes – “Tell me and I forget; show me and I remember; involve me and I understand” you need to involve your agents and show them the big picture. This way, the agents will know what is expected from them and how they can drive the company towards success. And when they meet that expectation, do not forget to recognize their efforts, encourage them, and reward them. This means the world to them. Provide incentives and praise. It really shows agents how much the organization respects and values them and their critical role. This way you will inspire agents to keep doing the kinds of things that increase customer satisfaction and boost customer experience. Peer recognition such as “You rock!” stickers or a pack of chocolates to peers who show outstanding effort in making a customer happy. Honoring agents during Customer Service Week, and other such recognition. Rewarding the best performers quarterly in a small ceremony where the CEO congratulates them can be great. You must make your agents feel valued and heard. Therefore, you need to ask for their opinion, suggestions, and feedbacks. This also has other advantages. Often agents can notice common issues and come up with easy solutions. Their feedback can help your business resolve underlying issues. All employees need to feel valued and believe they have a say in the future of the business. These are a few tried and true agent engagement tips that Fusion has put to work with brilliant results. Do you have such tips? Share with us in the comment section.